Michael’s amazing grin comes from a young man that likes to feel needed and longs to help others. Spending time with him can be a joy, especially when pizza is involved. He has such a heart for others, and he seems to do best when he is around older individuals. Michael needs a two-parent home with the possibility of an older sibling. 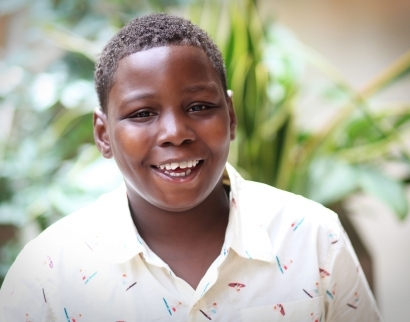 His forever family will need to understand that, due to Michael’s previous circumstances, he struggles with processing things and will need guidance, patience, and support as he grows into the compassionate young man he is meant to be. If you are interested in making Michael’s portrait a part of your own family portrait, let us know!